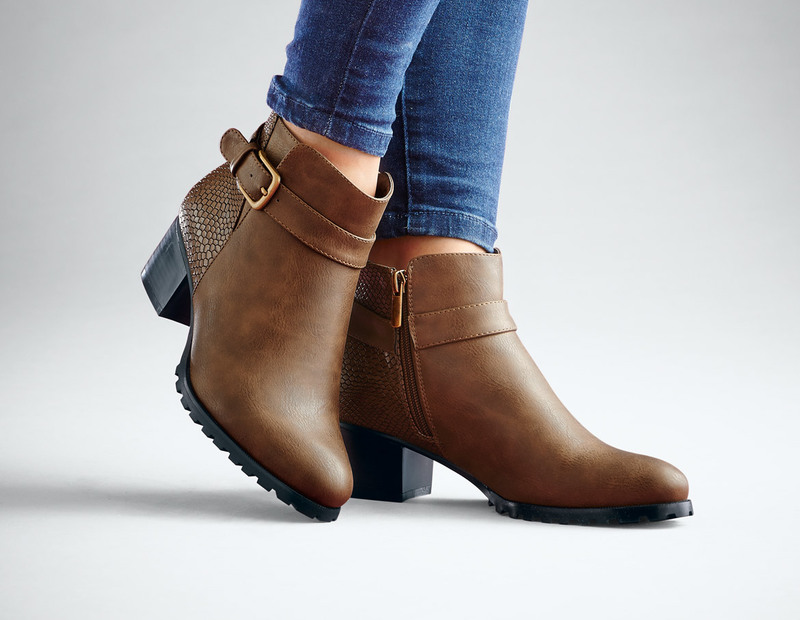 Boots are a wardrobe essential, so we’ve picked five of our favourite styles from our new Autumn Collection to give you a foot up finding your perfect pair. Rest assured, if you’re hunting for the best Autumn boots, we’ve got something to suit every style. All you have to do is choose the pair that’s right for you – although you don’t have to limit yourself to just one! 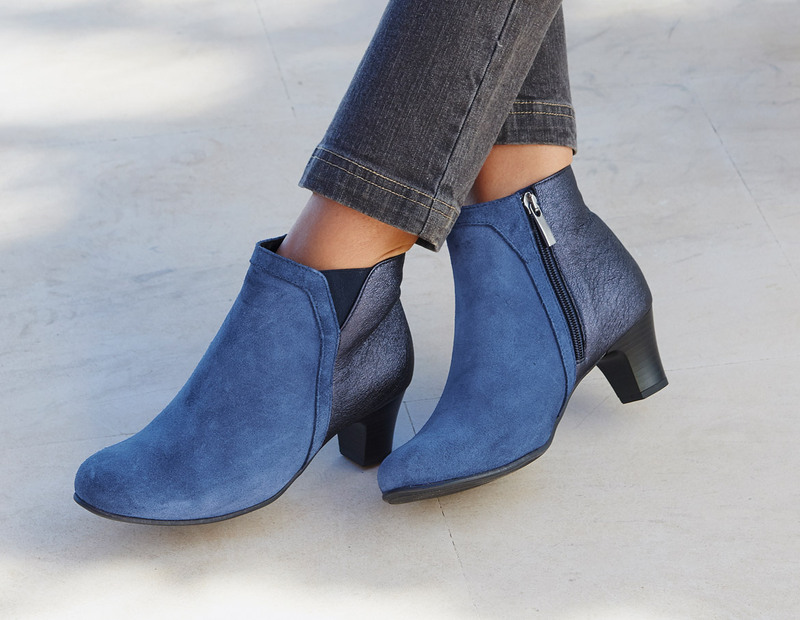 Our stylish two-tone ankle boots with an easy-to-wear 5cm (2 ins) heel are perfect for wearing through the day and into the evening. Made from soft suede leather with contrasting shiny snakeskin-effect trim. They look great with formal trousers and will dress up a favourite pair of jeans. Choose the elegance of black or make a bold style statement in indigo or ruby. An invaluable part of your Autumn to winter wardrobe, these boots make a key seasonal look. 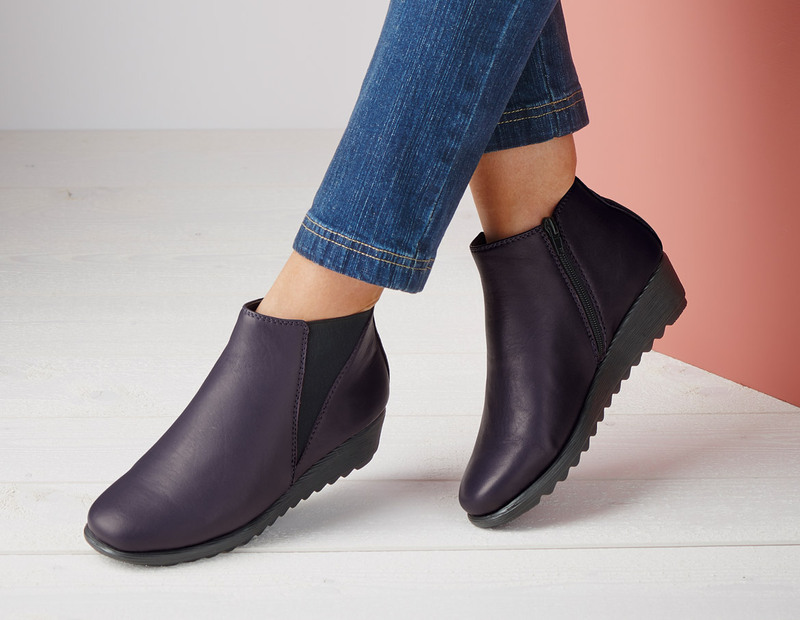 Leather uppers for quality and a side zip for ease, teamed with your favourite pair of jeans and a chunky knit – they’re the perfect boots for cosy weekends! Available in a variety of colour including an on trend metallic shade. Made from ultra soft split calf leather, our extra cosy Thermolactyl Boots are the casual way to stay comfortable this winter. You can wear them with a comfy pair of jeans for a rock n roll look or with a bohemian dress at the weekend. 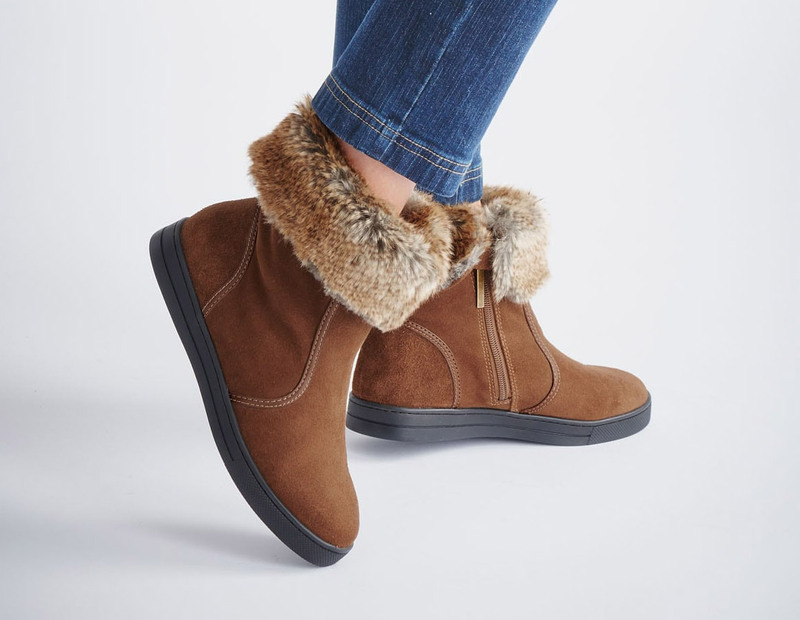 Featuring a stylish faux fur trim that can be worn up for a classic mid-calf boot or down for an ankle boot. This boot has two pairs in one! With their smart buckle detail and contrasting snakeskin-effect trim, these add a touch of sophistication. This classic ankle boot with chunky 2cm (1 ins) heel is certain to turn heads day or night. Pair them with a pair of jeans during the day for instant biker chic or wear them in the evening with a dress or trouser suit to add a rebellious edge to your ensemble. These smart, simply styled boots have been specially designed with extra grippy soles to ensure you can always put your best foot forward, whatever the weather. 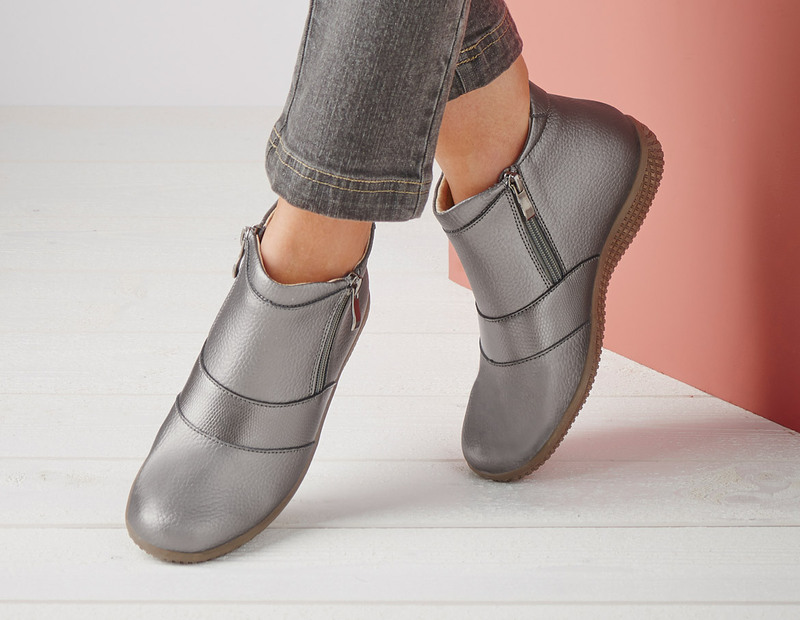 Made from soft, breathable leather for comfort and featuring low 4cm (1½ ins) heels for stability and stretch side panels to make them easier to put on and take off, they’re perfect for trips to the shops and walks in the park. Be sure to check out our range of boots on the Damart site!